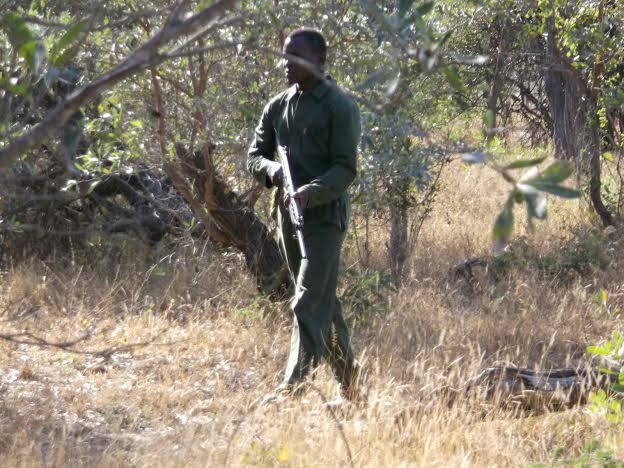 Game Ranger: Someone who is responsible for the management of a game reserve. 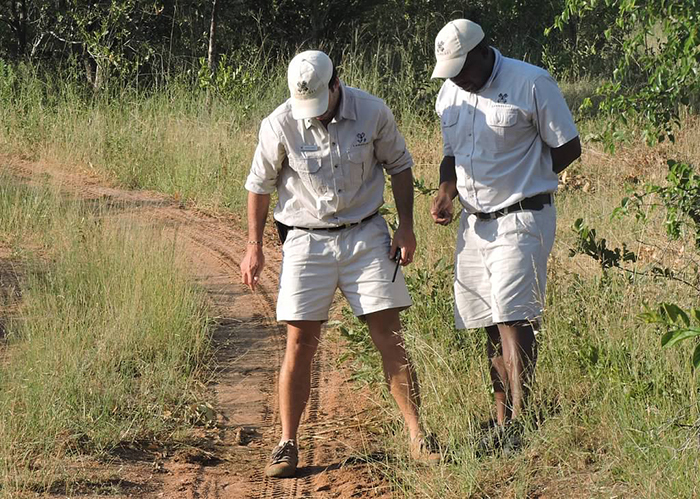 They work with ecologists, game reserve and wildlife managers; manage and monitor animal populations, maintain roads and fencing, and serve as field guides. 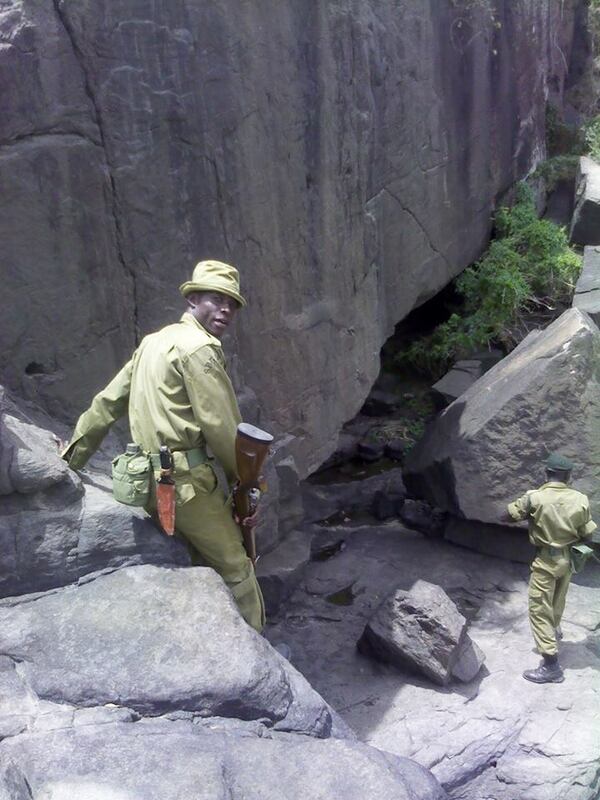 That in a nutshell was the job of a ranger. But today’s wildlife guides have had to evolve, not just gauge and monitor animals, but defend them with their lives. 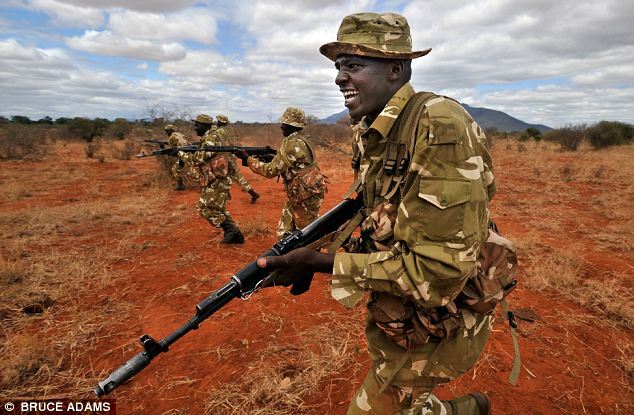 Anti-poaching training and strategies have become the primary focus. Rangers evolved, were forced to become militarized. 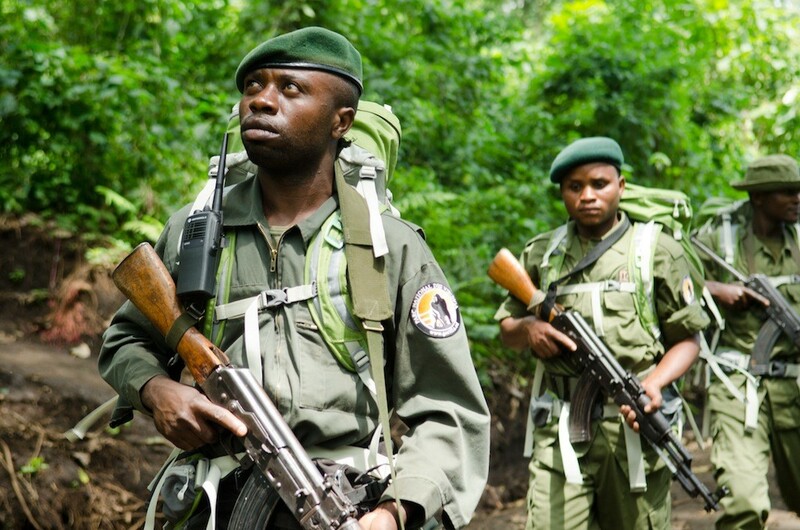 Working 24/7 to secure poaching hot-spots, do regular patrols to find and remove snares, gather intelligence, and set up ambushes to catch would-be poachers; all the while, keenly aware their lives are under threat. 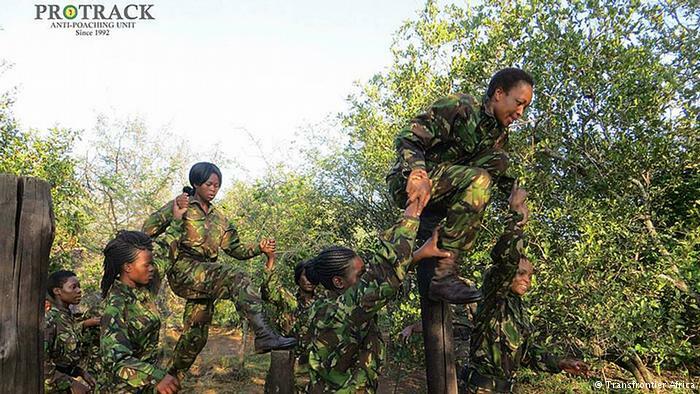 In 2013, Transfrontier Africa broke new ground by initiating the first all women anti-poaching teams. By engaging the community and employing local women to help protect Balule Nature Reserve, it helped empower the community and change the face of game rangers. 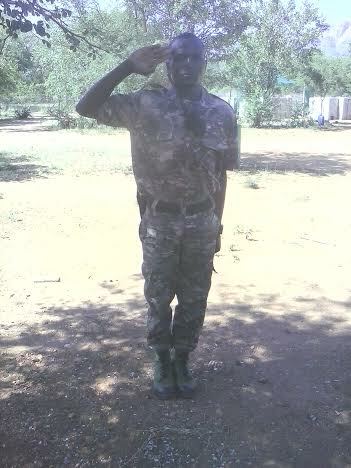 Far from the traditional ranger, but thus far, the program has been highly successful in keeping down poaching. 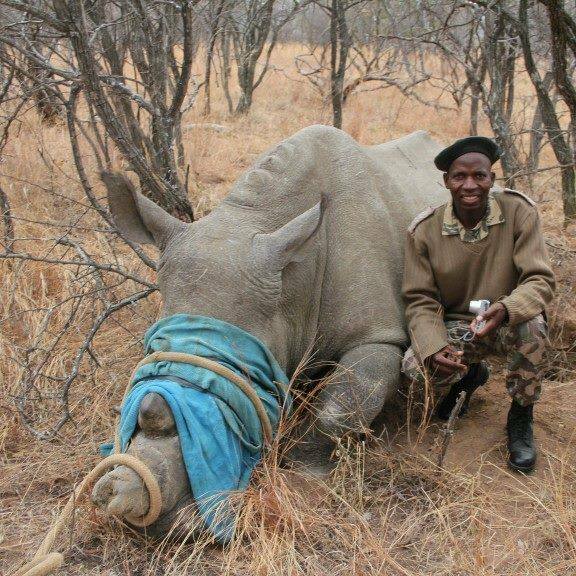 Rangers are tough as nails and defend rhinos with their lives. So what wouldn’t they do to fight poaching? What’s next? Whatever it may be, rest assured they will get it done. 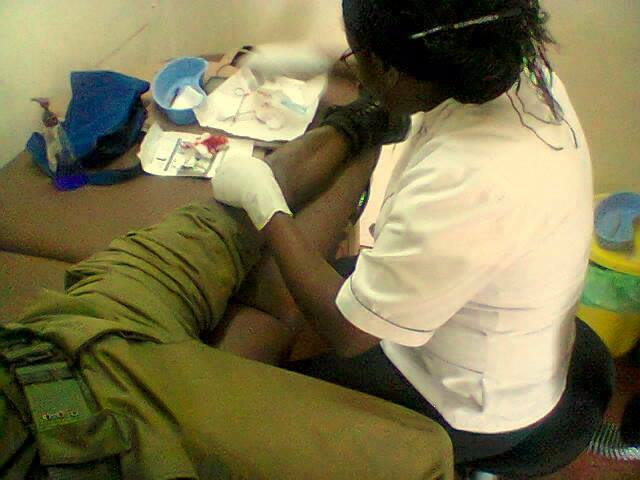 Dedicated, courageous, adapting-these men and women sacrifice themselves in ways most of us can’t imagine. There is nothing they can’t or won’t do. They are mothers, fathers, brothers, sisters, and heroes. They are rangers. “Rhino”: The most rewarding is the all the support I get from other people who appreciate what I’m doing. “Rhino”: I’d like to visit any country outside of Africa, especially those places where there’s rhinos. “Rhino”: I like salads, fruits and vegetables. “Rhino”: I like watching the news and going to church. “Rhino”: I wish we had cars to make patrolling easier. What do your family/friends/significant other think of your profession? “Rhino”: This is the kind of a job that most of my friends like so much and my family is fine with it. Rhino is currently between ranger jobs and would be delighted to find his next position soon. If anyone is interested, they can contact fightforrhinos.com for contact details.